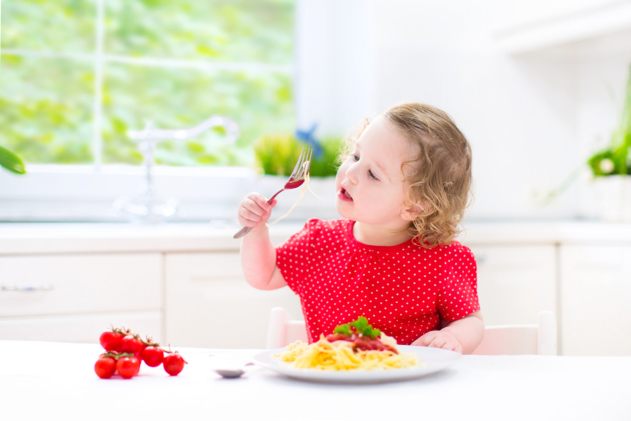 The Ideal Food For Growing Kids | Advance Childcare, Inc. In their young age, kids need a lot of nutrients in order to develop well and in their full capacity. They get their needed nutrients by eating the right food. Since our kids are usually in school, you should also inquire whether these foods are available in your child’s school or care center. Here is a short list of some ideal food for growing kids. Our children are still growing. They need a lot of protein in order to build and repair cells and gain energy for day-to-day activities. Some examples of protein are meat, fish, eggs, beans, etc. Since their metabolism is still quite fast, children need a lot of carbs in order to have energy. It also helps fill up their appetite as kids tend to get hungry more often. Carbs are helpful in restoring their energy and are often present in snack foods in-between activities. Some examples of carbs include bread, pasta, biscuits, eggs, starchy fruits, dairy products, and much more. Calcium is important for the child’s growth. It helps in building up healthy bones and strong teeth. Dairy products such as milk, cheese, yogurt, and ice cream are rich in calcium. Other foods rich in calcium include eggs (yolk), tofu, etc. Fiber promotes proper digestion and encourages bowel movement in children. It helps prevent constipation and combats obesity. It is also a good preventative measure against diabetes and heart disease. For food rich in fiber, try whole grains products, oats, apples, seeds, nuts, etc. All kids need vitamins for optimal growth. Vitamin A helps with the child’s eyesight and helps prevent infection. Some food rich in vitamin A include carrots, egg (yolk), squash, sweet potatoes, and much more. Vitamin C helps boost the immune system and helps fight off disease. Some food rich in vitamin C include citrus fruits (orange, lemon, etc. ), tomatoes, potatoes, mangos, etc. Our children spend most of their time at school during these vital stages of growth and development. It is a must that proper nutrition is provided by care centers and learning facilities. Advance Childcare, Inc. allows these facilities and institutions to be able to provide our young learners with the right food through our Child and Adult Care Food Program in Texas. Advance Childcare, Inc. is highly regarded as a CACFP sponsor for Child Care Centers. We provide nutritious meals and snack foods to children much easier and more beneficial. Our CACFP management system makes CACFP tasks easier by simplifying and automating much of the work! To find out more about our Child and Adult Care Food Program (CACFP), you can visit our site at advcc.org. For inquiries, you contact us at 903-872-5231 ext 302 or e-mail us at info@advcc.org. Get to know our CACFP systems by clicking this link (enter “cuser” as the username and password) http://ccs-childcaresystems.azurewebsites.net/Account/Login?ReturnUrl=%2f. This entry was posted in Healthy Foods for Kids and tagged Child's School, Kids Immune System, Proper Nutrition. Bookmark the permalink.